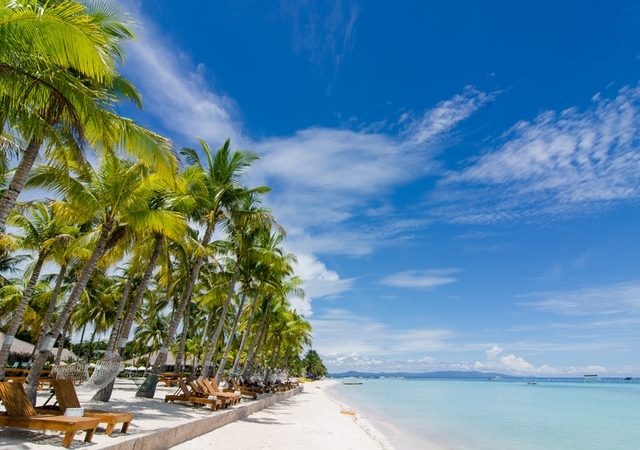 Bohol with its capital Tagbilaran is the tenth largest province of the Philippines. 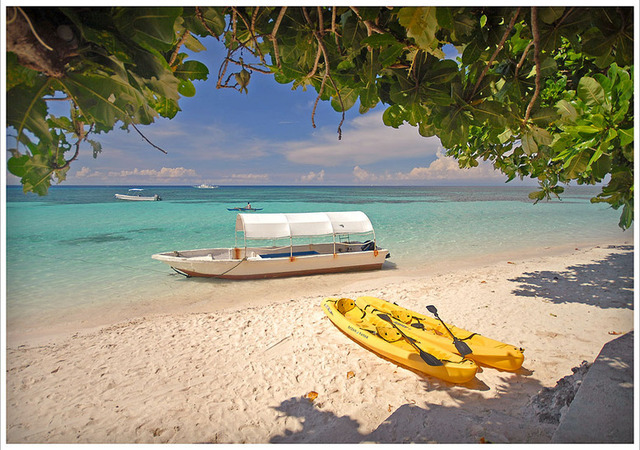 Bohol can be reach by ferry from Cebu, Dumaguete, Siquijor Island and by flight from Manila. 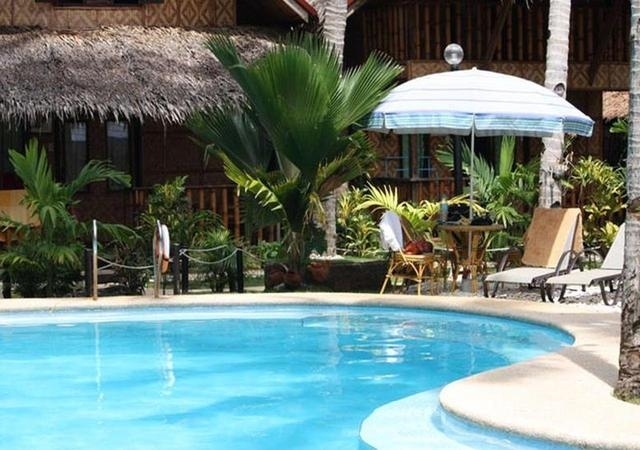 The most known tourist destination in Bohol Island is Panglao Island with numerous resorts. 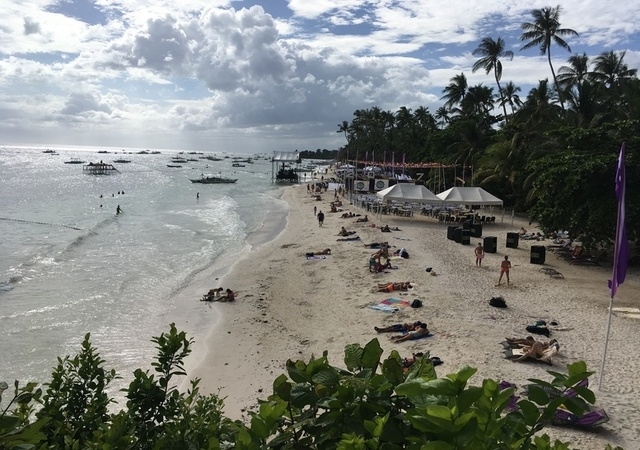 Awkward enough is the popular Panglao beach not blessed with a very good beach. Better beaches can be found in many other places in Bohol. 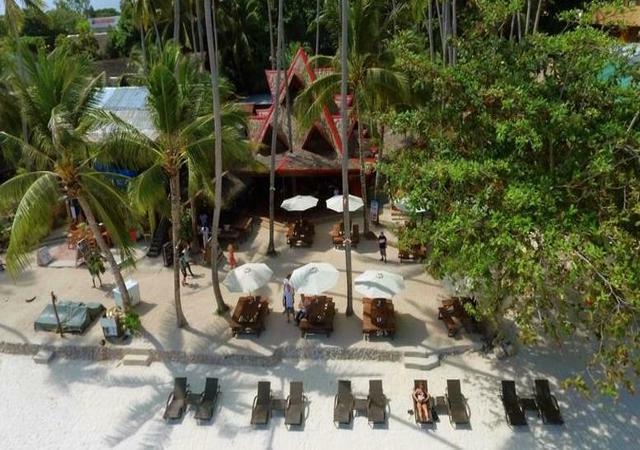 Anda beach is example of a much better beach is located in the mainland of Bohol and might become the newest destination in Bohol with sea waters and sandy beaches comparable to Boracay. 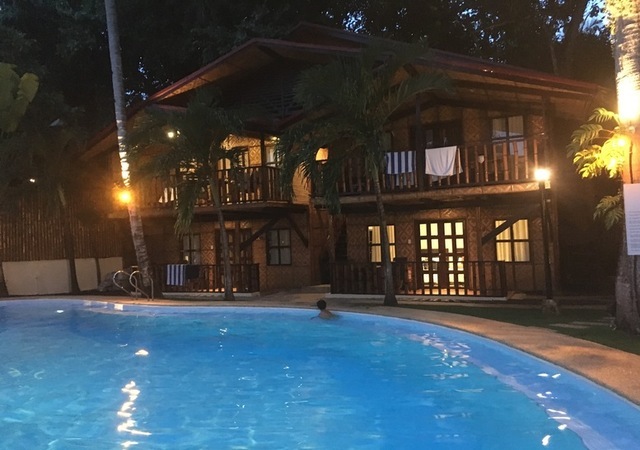 Bohol offers compare to other island quite a few natural attractions such as chocolate hills, lime stone rock formations covered with green during rainy season but turning brown during dry season. The smallest monkey called tarsier is a rare specie and among the world smallest primates which normally only can be seen in captivity. 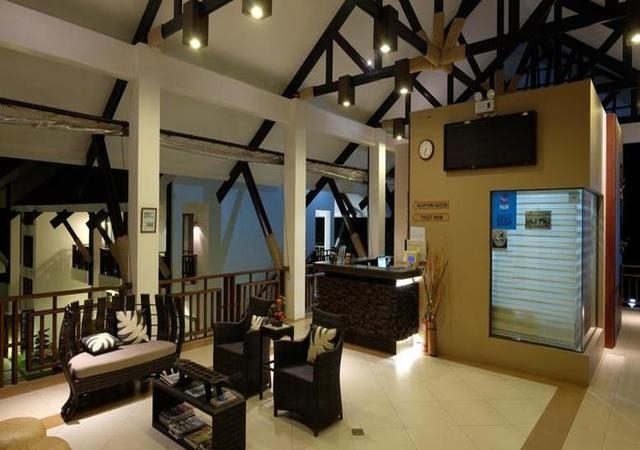 The diving options are fantastic and Bohol belongs to the 10th best diving destination in the world and more than 100 diving schools is the result. Dolphin spotting is also one of the activities beside island hopping, Balicasag, and Pamilacan islands. A boat tour in the river, churches, history makes the possibilities in Bohol rewarding to stay at least 3 nights. 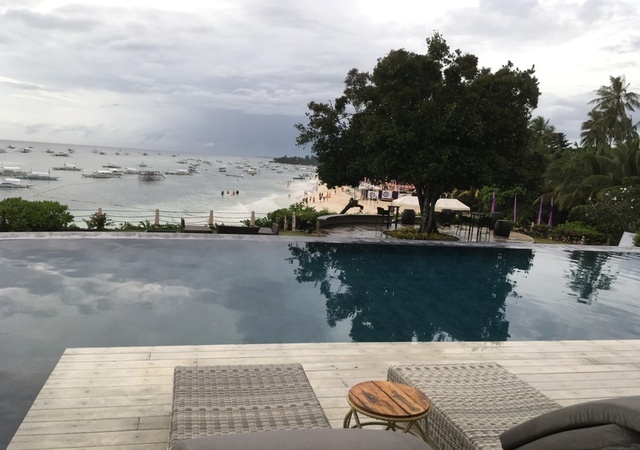 Another advantage of Bohol is that the weather is more favorable compare to the Northern Philippines with less rainfall and typhoons although when seas are rough ferry schedules might be cancelled. 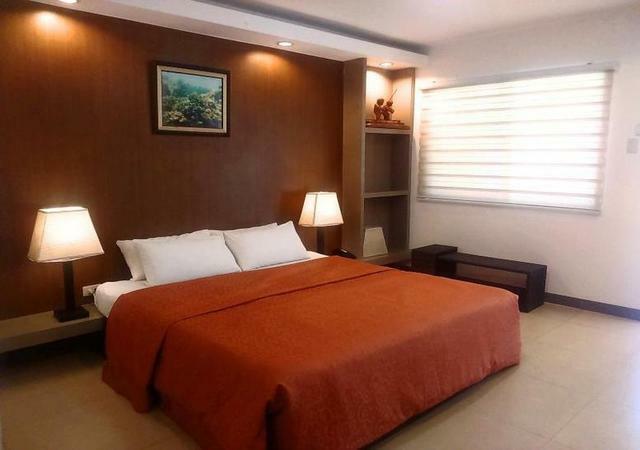 Located 10 minutes walk from Alona beach (2-3 star) . 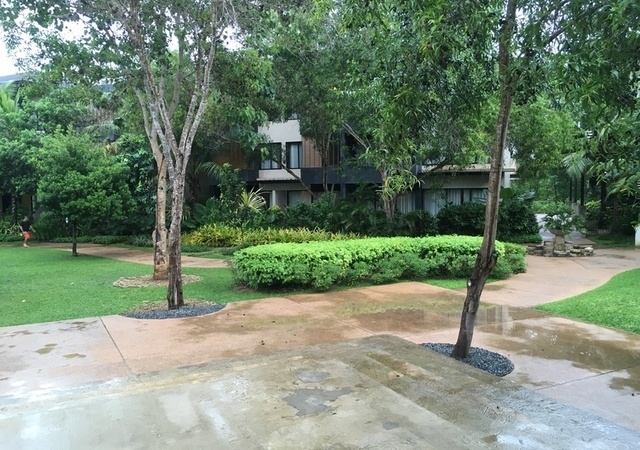 Tip Top Hotel offers a very affordable rooms quite garden settings. 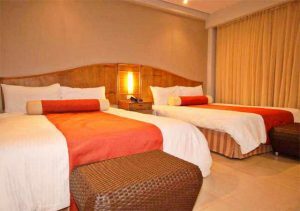 The premium room with king size bed is the best choice of room for 2 persons. All rooms are looking out over their swimming pool. the menu of the restaurant offers among other Swiss dishes. A deli shop is attached to their restaurant and next door motorcycles can be hired. 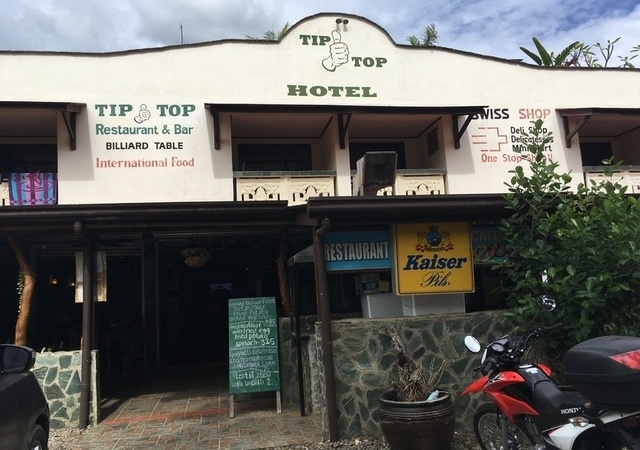 At Tip Top you can also dine and shop with your grocery needs. Basic 2 / Max 3 person, 2 adults are included in the basic charge. 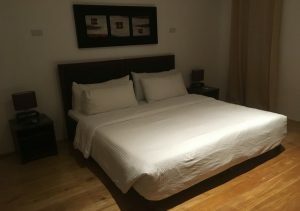 Up to 1 extra adult can be accommodated in this room with charge. Premium Room is a 34sqm with pool view and a Double-Sized Bed. Air Conditioned, Hot/Cold Shower and with Kitchen. 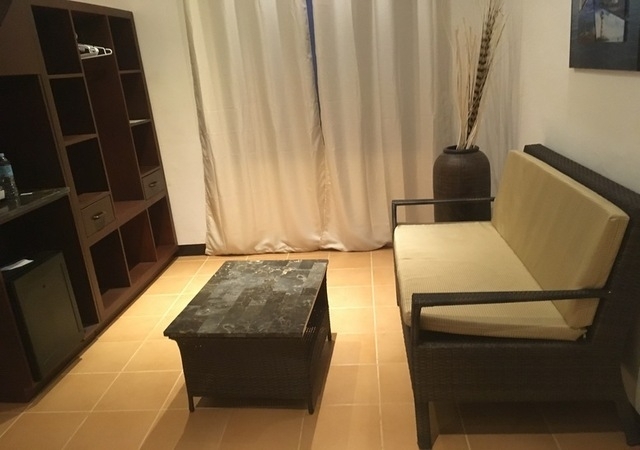 Up to 1 extra adult can be accommodated in this room with charge. Php 3,800.00 per room per night based in twin share with breakfast. 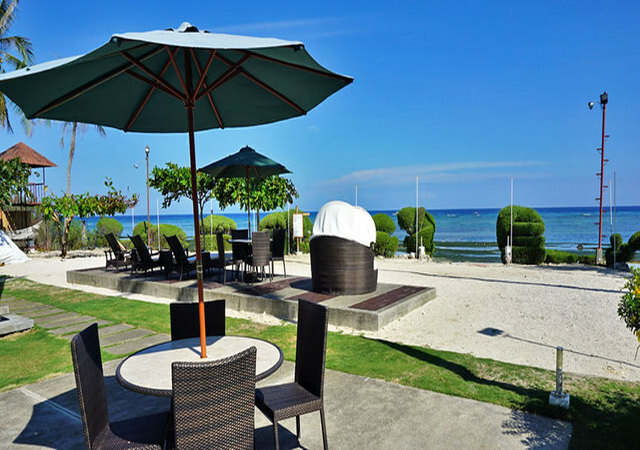 Dive Thru Resort is secluded but beachfront 3 star resort and located 10 minutes tricycle ride or 30 minutes walk from Alona beach. 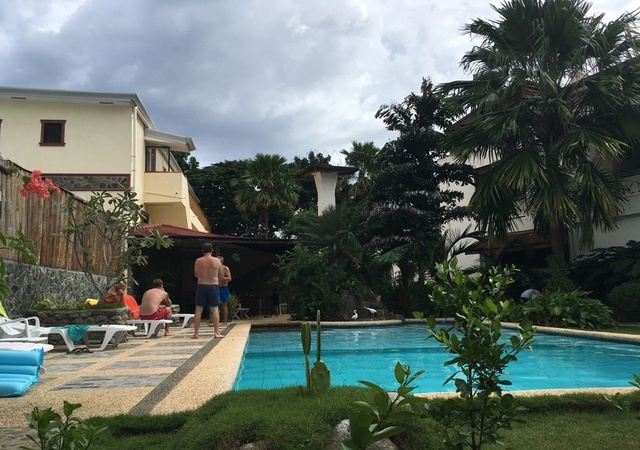 This small boutique hotel offers great design of the rooms and if you are looking for quietness and good services and you have a medium budget then no need to look further.Their very good kitchen makes your holiday complete. Of course diving trips can be arrange from here. 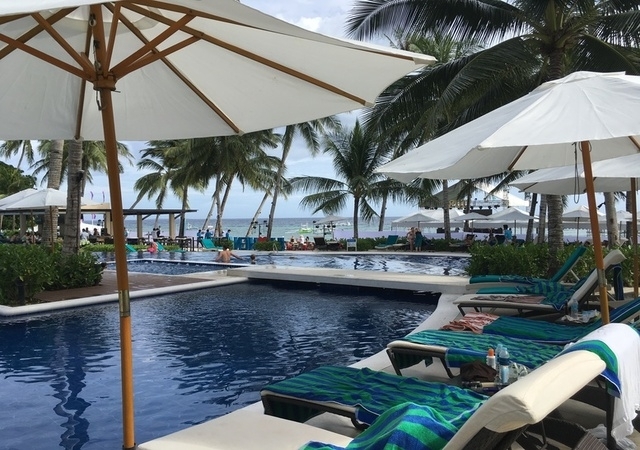 Perfect for your corporate and family events, birthdays, anniversaries or destination wedding with your choice of exclusive access to the entire resort to make the occasion a memorable one. Come visit or contact us and we will gladly help you make your dream event a reality. 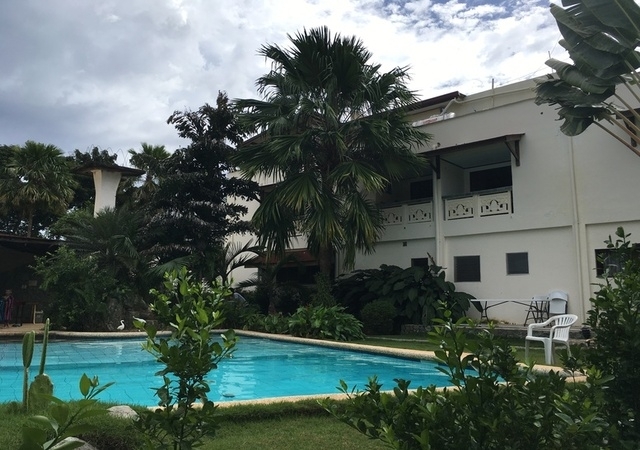 The roomy Superior room with its muted lighting and queen sized bed or two (2) single beds that are conveniently located on the ground floor with direct access to the pool and the beach. . 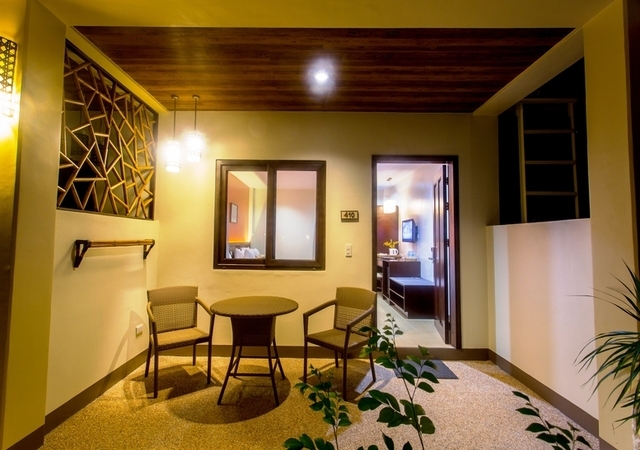 The room comes equipped with a flat screen TV with cable, hot/cold shower, refrigerator and fully air conditioned. 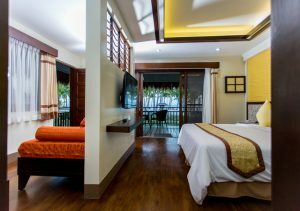 Our Deluxe room is that dream vacation or honeymoon. . You will find the king sized bed affording a beautiful view of the ocean. 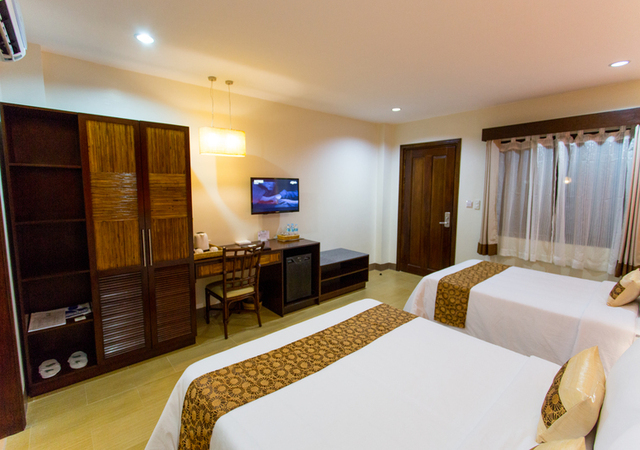 The room comes equipped with a flat screen TV with cable, hot/cold shower, refrigerator and is fully air conditioned. 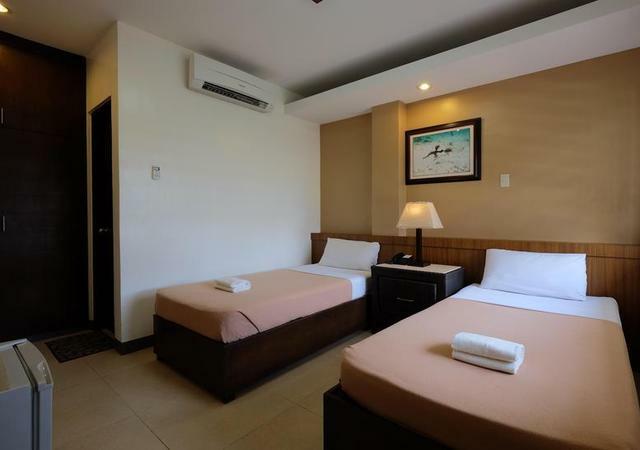 Php 3,815.00 per room per night based in twin share without breakfast. 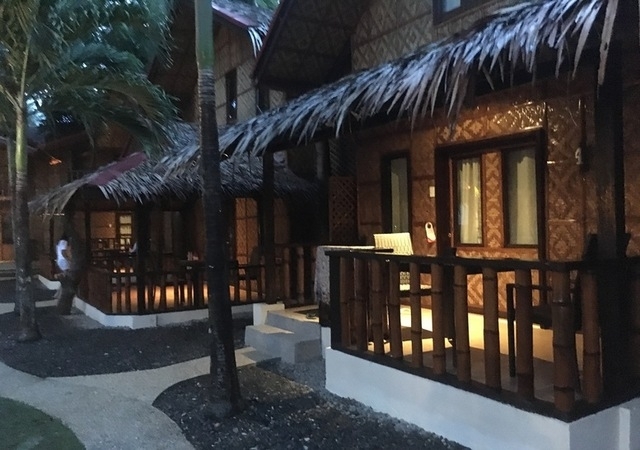 This newly renovated 2-3 star resort located in the center of Alona beach might be your best choice if you are interested in native style rooms/bungalows with medium priced room rates. 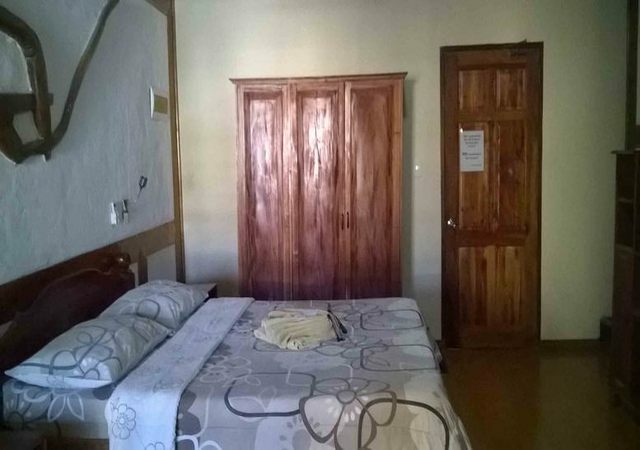 All 14 rooms/cottages are in native style wooden flooring. The hotel offers wifi in all rooms. They offer rooms and en suite rooms with bedroom on the second floor. 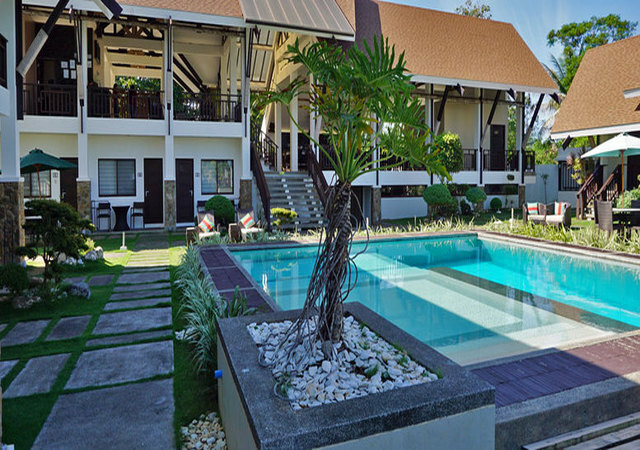 The native styles cottages are nicely built around the outdoor pool. 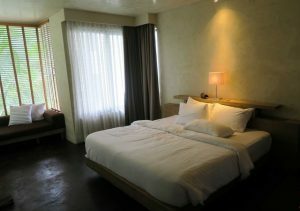 Deluxe Room is a one story cottage with balcony. 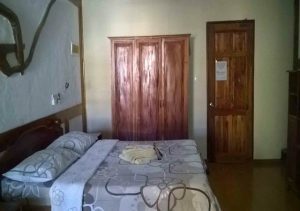 Air conditioned bedroom, 1 double sized beds, toilet and bath, hot and cold shower, refrigerator, cable TV, safety deposit box, free wifi connection, 2 person occupancy. 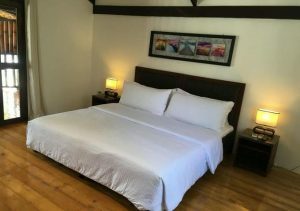 Superior Room is a 2 storey cottage with balcony or terrace, air conditioned bedroom, double sized beds, toilet and bath, hot and cold shower, furnished living room with sitting area, refrigerator, cable TV, safety deposit box, free wifi connection. 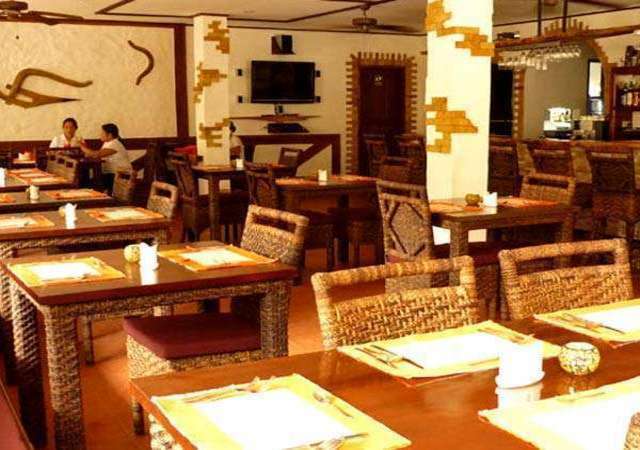 Php 6,400.00 per room per night based in twin share with breakfast. 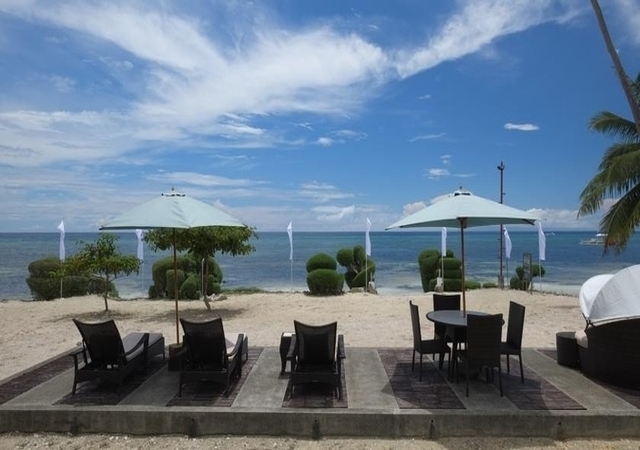 Bohol Beach Club is a secluded 4 star resort located on a wide spread area with palm trees and 10 minutes drive from Alona beach. 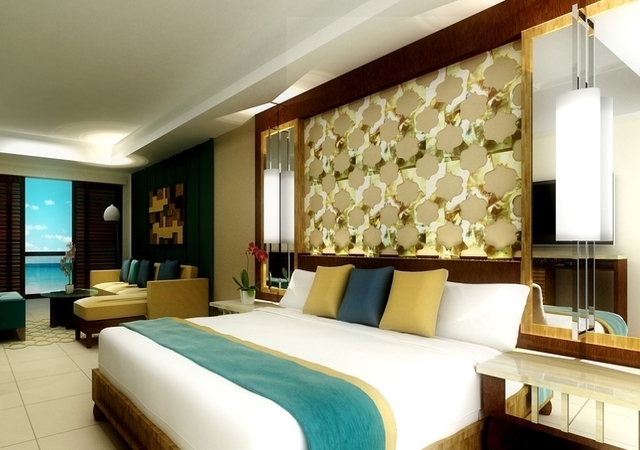 Their rooms offer great design and amenities. 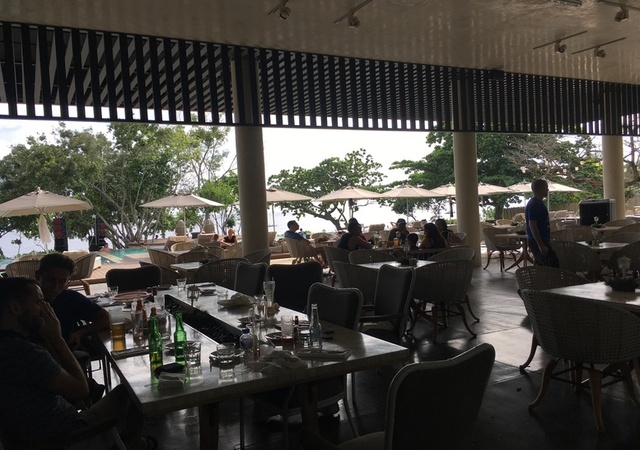 Arguably the resort has the best private beach on Panglao Island with powdery white sand and pristine waters.Their menu offers a wide variety of traditional Filipino fare and International cuisine. 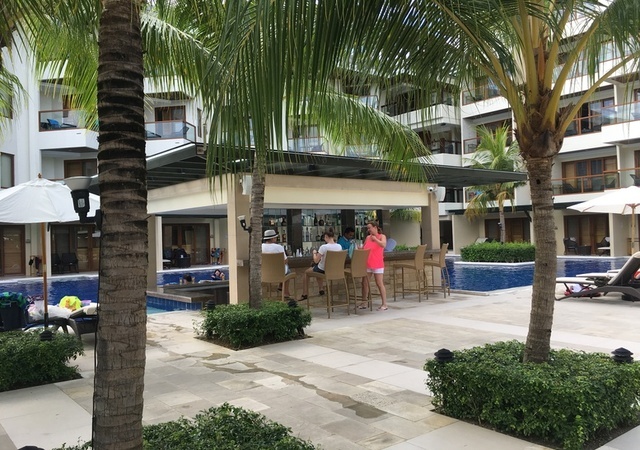 The new Bohol Beach Club has a total of eight-eight (88) rooms made up of eighty (80) Deluxe rooms and eight (8) Beachview Suites. 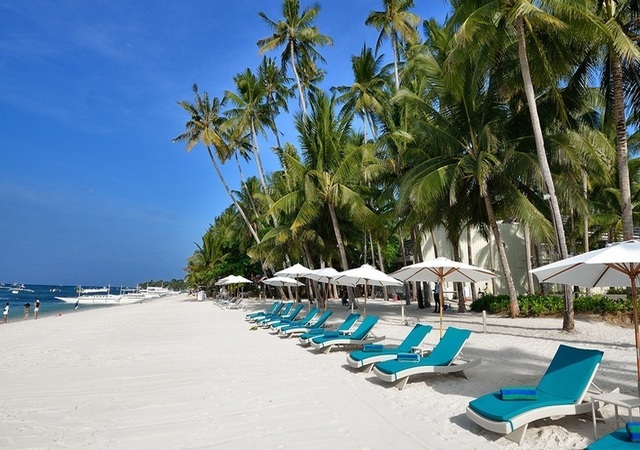 Access to the beach, pool and restaurants from all rooms is very convenient due to the well thought of resort layout. 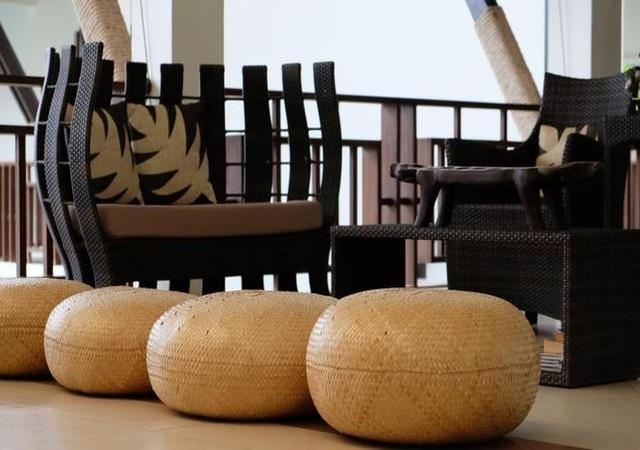 All Deluxe rooms have a commanding view of the swimming pool and the beach.Rooms are spacious and bright, designed with modern colors, yet preserve a Filipino touch with the prolific use of wooden furniture and local handicraft. 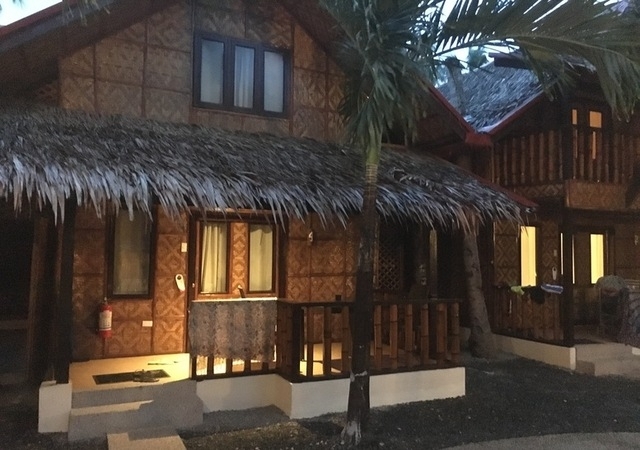 All Suites have their own unique view of the beach and the Bohol sea. 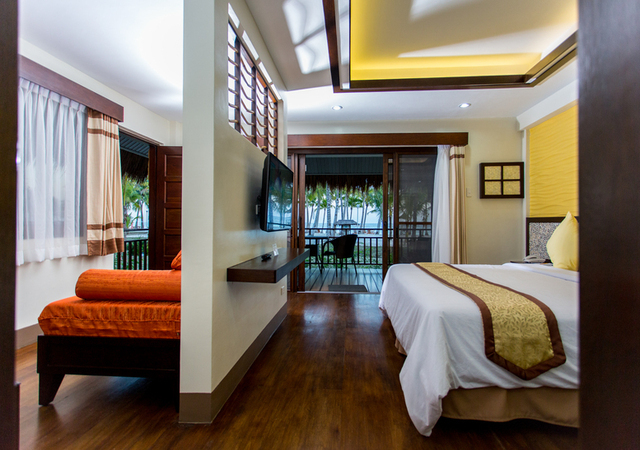 Rooms are spacious and bright, designed with modern colors, yet preserve a Filipino touch with the prolific use of wooden furniture and local handicraft. 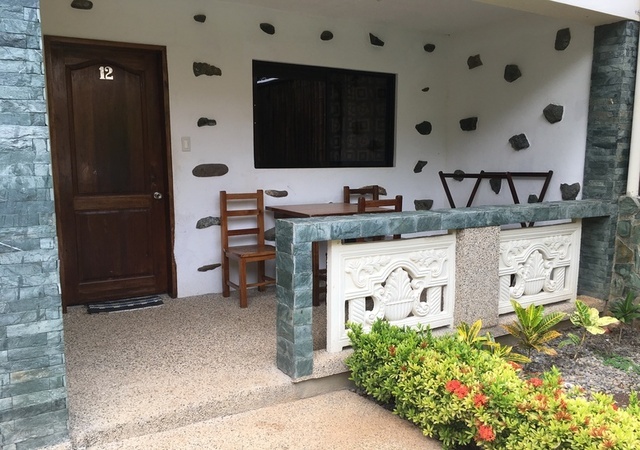 Php 7,300.00 per room per night based in twin share with breakfast. 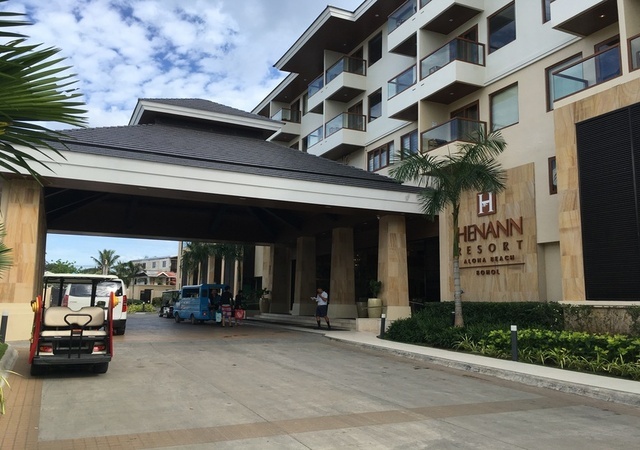 Henann Resort (5 star) on Alona Beach offers 400 bedrooms including a huge conference center on their beachfront property along Alona beach. 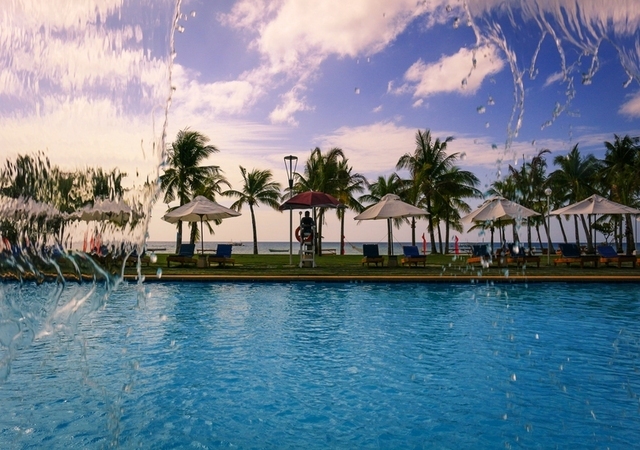 The huge swimming pools with separate jacuzzi’s are giving this resort a real tropical feeling. 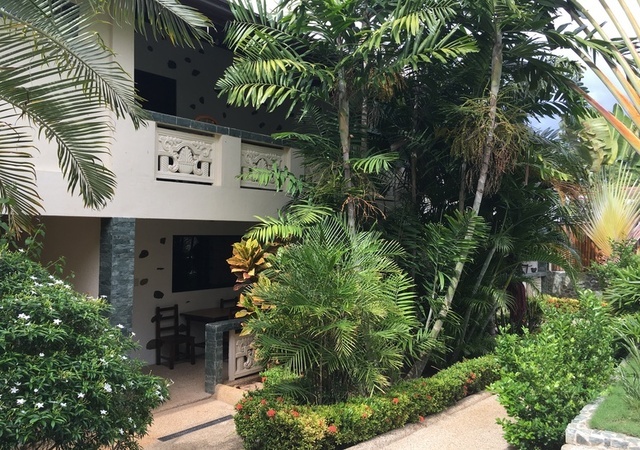 The private villa’s located closest to the beach offers the best privacy. The rooms located along the swimming pool are just 2 steps away if you like to take a refreshing dip. 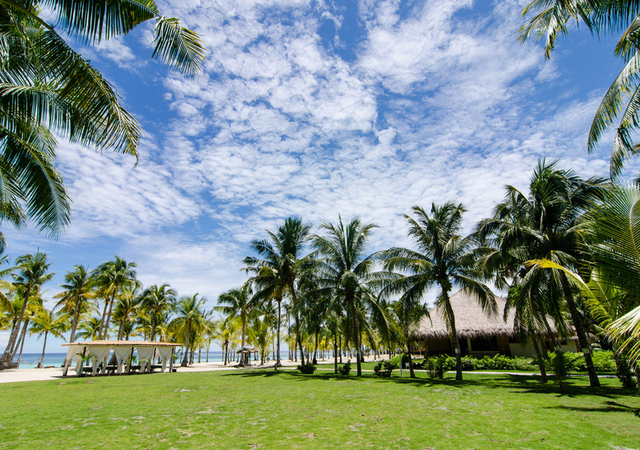 Henann is also the biggest beach resort in Panglao Island, Bohol sits on a lush 6.5 hectare property on the pristine shores of Alona Beach. Php 9,100.00 per room per night based in twin share with breakfast. 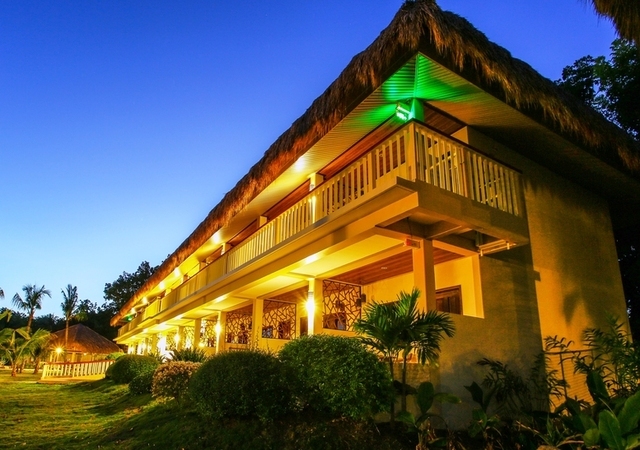 A secluded resort on top of a limestone cliff with views over the sea and very close to Alona beach. 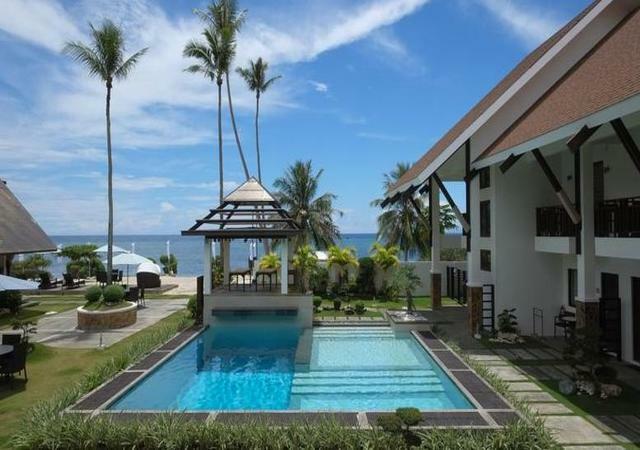 Amorita resort (5 star) is offering a quietness and luxurious stay. 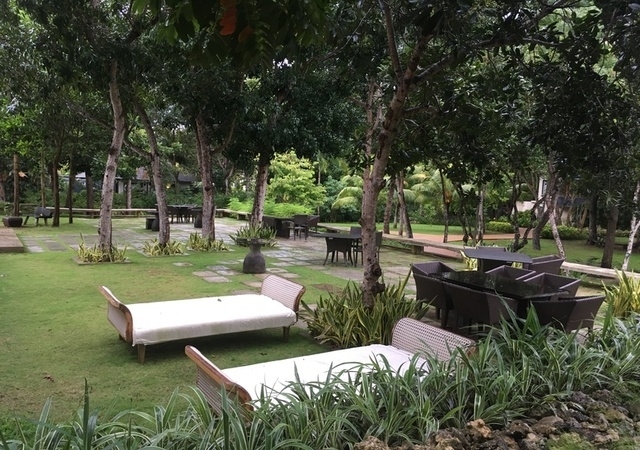 Amorita offers a boutique travel experience. 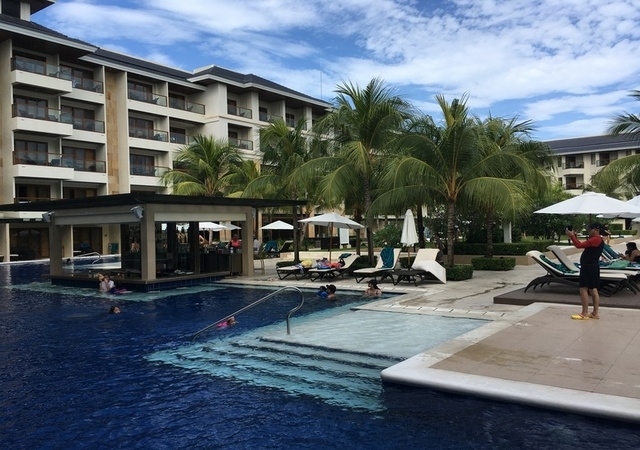 Amorita Resort features 82 suites and 14 villas with generous space and luxurious amenities, sorrounded by landscaped gardens. 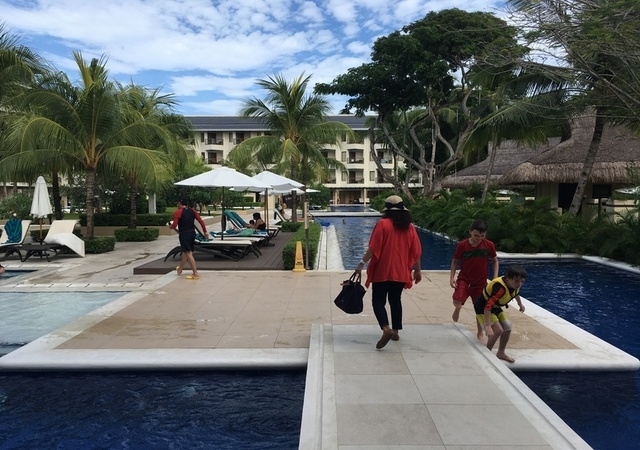 One of their swimming pool is overlooking Alona Beach. 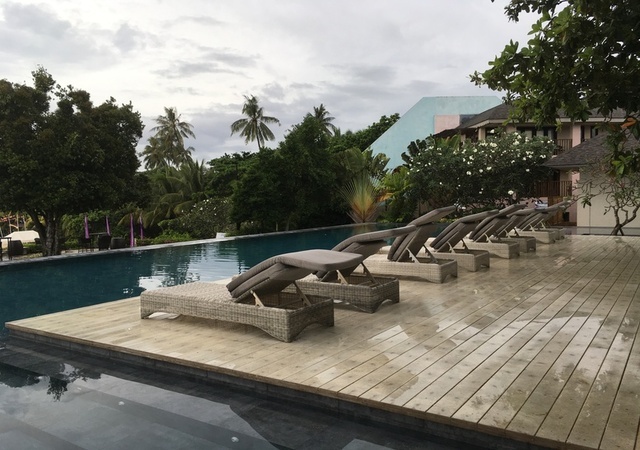 Amorita integrates key elements of the surrounding environment to create a distinct island ambience and organic modern aesthetic. Here, a sense of personalized luxury abounds, offering an escape from the urban fray and a boutique travel experience that’s unlike any other. 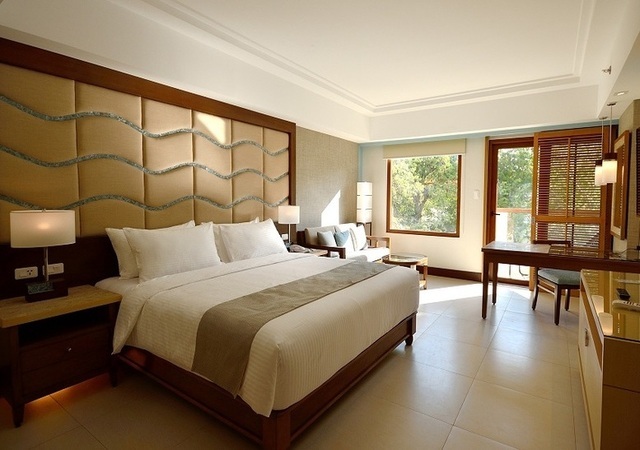 The 24 Deluxe Rooms are situated in a 2 story building. 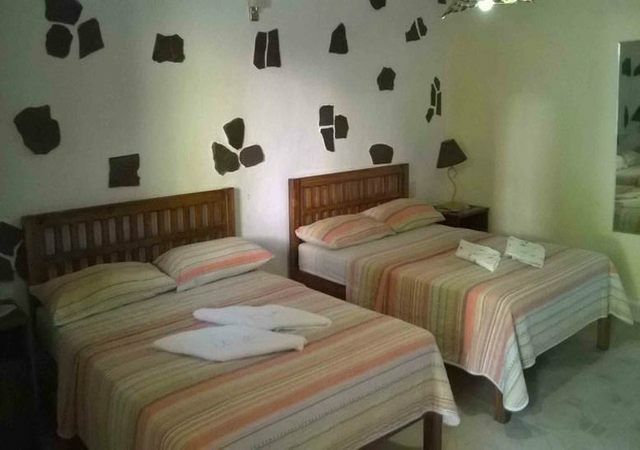 All rooms have a small terrace or balcony and are furnished with two queen size beds and TV. The European standard bathrooms offer all hot shower.